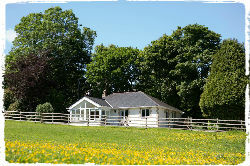 Bosinver Farm Cottages offers twenty luxury self-catering properties on a 30 acre countryside farm in south Cornwall. Family friendly facilities include indoor and outdoor play areas, an indoor heated swimming pool, tennis courts, farm activities and countryside trails while for parents there’s a sauna, gym, catering options, babysitting and a village pub nearby. Bosinver Farm Cottages is located in Trelowth, Cornwall, just a short drive from St Austell and Carlyon Bay. The cottages are within easy reach of several family friendly beaches including those at Porthpean, Polkerris, Portholland and Pentewan, and there are numerous other activities available in the surrounding area including horse riding, golf, surfing and kayaking. Bosinver is also ideally placed for exploring popular tourist attractions in Cornwall including the Eden Project. The Parent Friendly Stays team recently stayed at Bosinver Farm Cottages – click the image below to read our in-depth holiday review! Bosinver comprises a total of twenty self-catering luxury cottages. The majority sleep either four or six guests but there are a handful of larger properties with the biggest, Farmhouse, accommodating twelve people. The detached properties are scattered around the scenic rural complex in the manner of a small village, guaranteeing visitors privacy and unique countryside views while ensuring you remain close to all the available shared facilities on site. The cottages come in a range of styles to suit visiting families’ preferences, are equipped to a high standard and have gardens which open onto the surrounding land. For a flavour of Bosinver’s prices, a week-long stay in August in one of the farm’s four bed properties (i.e. 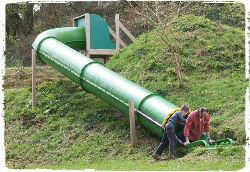 suitable for two adults and two children) will set you back between £1300 and £1700. Prices rise with size, so a week at the same time of year in Farmhouse will cost £3700 – but that’s not bad given the property could easily accommodate two or three families in its six bedrooms. Bosinver is genuinely overflowing with child friendly activities to keep children of all ages entertained, whatever the weather. There’s farm-based fun with Farmer Dave including daily animal feeding and egg collecting; resident animals on the farm include ducks, chickens, sheep, goats and horses (and yes, there are occasional pony riding sessions too!). There’s an indoor play barn with soft play equipment at one end and comfy sofas for mum and dad, and a games room with table football, ping pong, pool and a dartboard. Always a family favourite there’s a newly rebuilt indoor heated swimming pool with sundeck patio. And for rainy day inspiration you can borrow Nanny Pat’s baking equipment box and enjoy a spot of family baking. Outdoors you’ll find a children’s playground with sandpit, swings, climbing frames and ride-on toys, plus a large trampoline; and down by the lake there’s a fantastic zip wire, a huge bendy slide and tyre swing. There’s a full size hard surface tennis court available all year round, and children can have a go at fishing in Bosinver’s very own lake. There’s also a wealth of safe, road-free, outdoor space for children to explore within Bosinver’s 30 acres of farmland, including exciting family adventure trails like the ‘wellie hunt’, a ‘Gruffalo trail’ and the ‘woodland walk’. 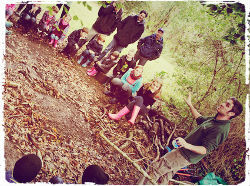 As if all this wasn’t enough, Bosinver offers a free once-a-week Wild Kids club during the main summer season where children can enjoy supervised outdoor fun including nature crafts, games and campfires. With so much on offer to keep the children entertained on holiday you’d forgive Bosinver’s owners for forgetting about their adult visitors; but remarkably there’s as much on offer to help parents have a relaxing break too! Basics first: all the cottages have a folding wooden cot and it’s possible to borrow a wealth of baby friendly equipment including bed guards, booster seats, high chairs, blackout blinds, soft backpack baby carriers, stair gates, baby monitors, baby baths and strollers. All of which means more room in the car for things you actually want to bring! Outside your cottage, mums and dads will enjoy the use of a sauna in the swimming pool building, and the play barn has a selection of gym equipment for adults to use while the children plan. There are also private hot tubs with several of the cottages. Dinner time is made easy at Bosinver with a variety of options available on site. Locally made frozen ready meals are available to pre-order or buy from reception, and BBQs are available to borrow. There’s also a herb garden from which you can help yourselves! The local village store bakes fresh bread each day and will deliver your order to the cottage in advance so it’s all ready when you arrive. You can even book a private chef service offering a luxury dining experience in the comfort of your own cottage! Alternatively, if you fancy a meal out, there’s a local inn within a 15 minute walk of the Bosinver complex. It’s a family and dog friendly pub with outdoor space so you can take the kids with you but if you fancy a bit of quality grown-up time then Bosinver has an answer for that too with a number of experienced babysitters available to book. Dogs are welcome in some of Bosinver’s pet friendly cottages, though they’re not allowed in any of the cottages during the main summer holidays or Whitsun half term. There’s free WiFi in all the cottages as well as a shared internet room with a PC and printer. 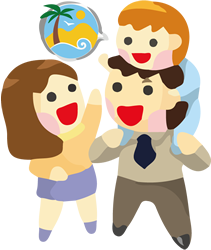 At Parent Friendly Stays we’ve reviewed some pretty impressive family friendly holiday destinations. 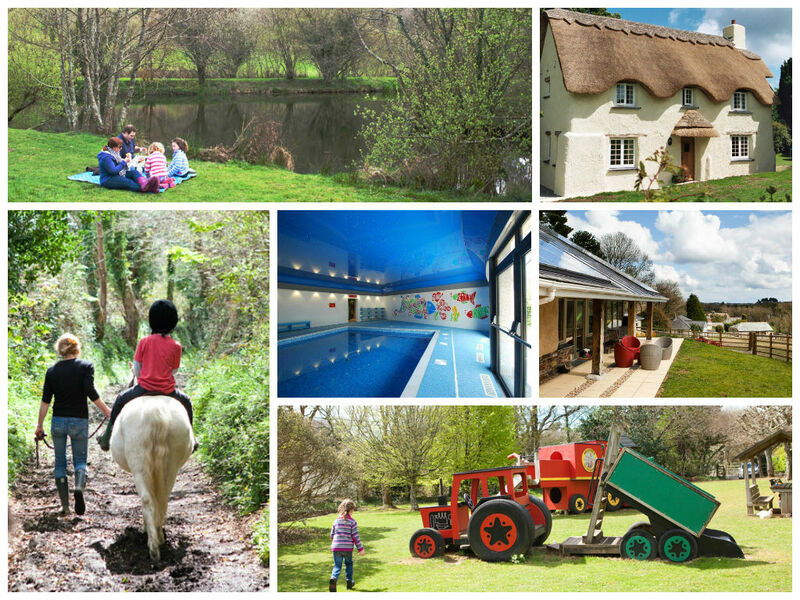 But Bosinver Farm Cottages still managed to generate a real ‘wow’ moment for us with its idyllic self-catering properties, fabulous children’s facilities and considerate parent friendly offerings. Bosinver’s the kind of holiday destination which families return to year after year because they just can’t find anything better and at Parent Friendly Stays we reckon we’d be seriously tempted to do the same. “At Bosinver, we specialise in holidays like they used to be. No, we don’t mean tatty chalets or leaking tents!. Think Famous Five (lashings of ginger beer optional) or Swallows and Amazons. Children free to explore, setting out on a new adventure each day. From animal feeding with Farmer Dave to den building in the woods, hunting for the Gruffalo or zooming down the zip wire, there’s plenty to feed their imagination and keep even the most active kids happy – and the whole family are sure to love our new heated indoor swimming pool! If you’d like to find out more about family friendly holidays at Bosinver, including booking and availability enquiries, just fill out the form below.